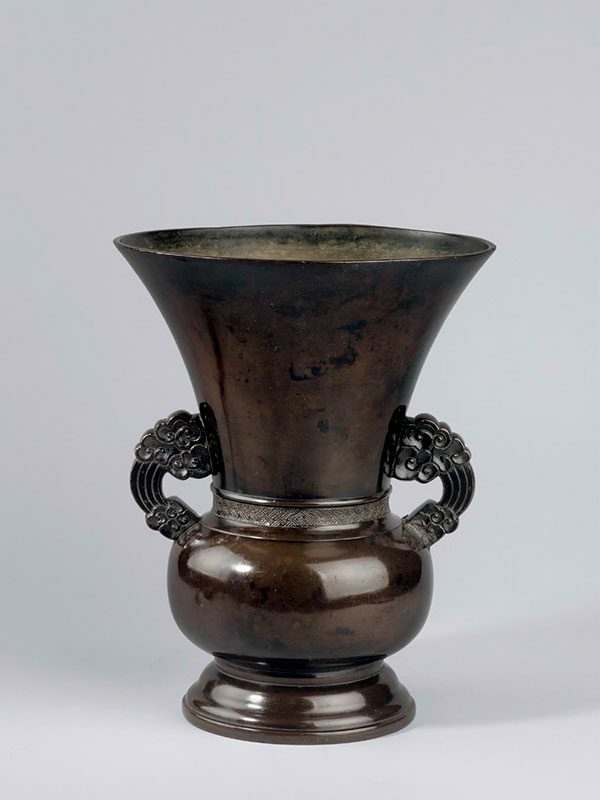 A large bronze vase with globular body and widely flaring neck. The body and neck are connected by two handles, each with a cloud pattern on both sides. The vase is stored in an old tomobako, made new in Meiji 14 (1881). The tomobako is inscribed: Kodo kabin, ikko (An old bronze flower vessel, one item] and Meiji juuyonen sangatsu hobako, Ito shi (The box was made new in March, Meiji 14th year (1881), Ito Family collection).